Have you always wanted to join a book club, but didn’t know how, or they all met at locations too far from your home? Then this is for you! Designed with an open format, the library book-club meets on the 2nd Thursday of every month from 12:30-2:00 p.m., in the Winer Family Community Room & Art Gallery. 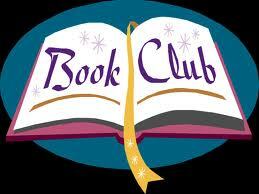 We will include a variety of books; each one to be chosen by club members. Wanting the club to be more than simply reading and discussing, our hope is to invite authors, correlate crafts, and even compare a book’s movie if possible. Click on Book Club Flyer Summer 2019 to print the list of titles we will be reading in the near future. Extra copies of the books can be found at the library listed under Book Club on the Reserve Shelves and must be checked out at the circulation desk. Pick up a copy today, and come ready for lively discussions. Even if you can’t get the book read in time, you are still welcome to participate. HAPPY READING!